President Geoff, just returned from Japan, began this week's meeting with a toast to PP Peter Mangan and PP Murray Newby, who recently passed away. 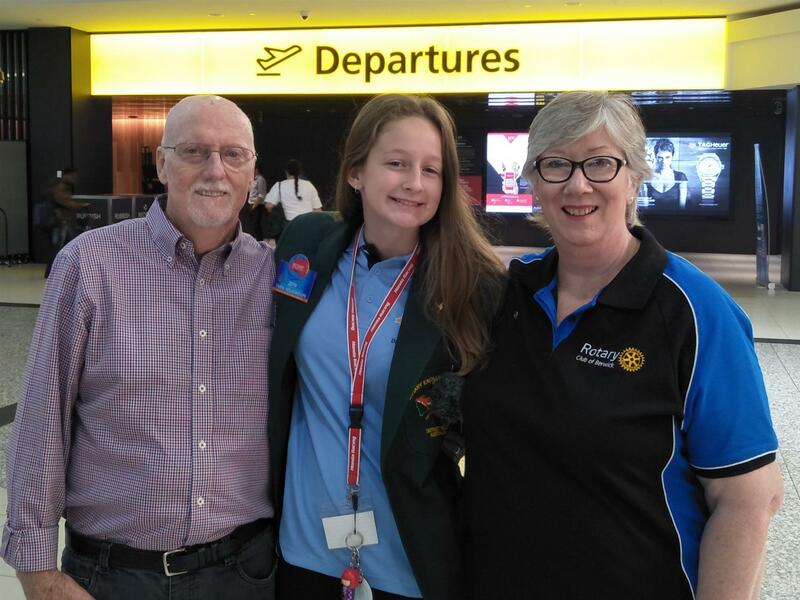 On Monday 21 January, Bob Lay AM and Clare Ganderton joined with Denise, Carly and Braden Wilkinson at Tullamarine airport to farewell Tara, as she left on her 12-month youth exchange to the USA. 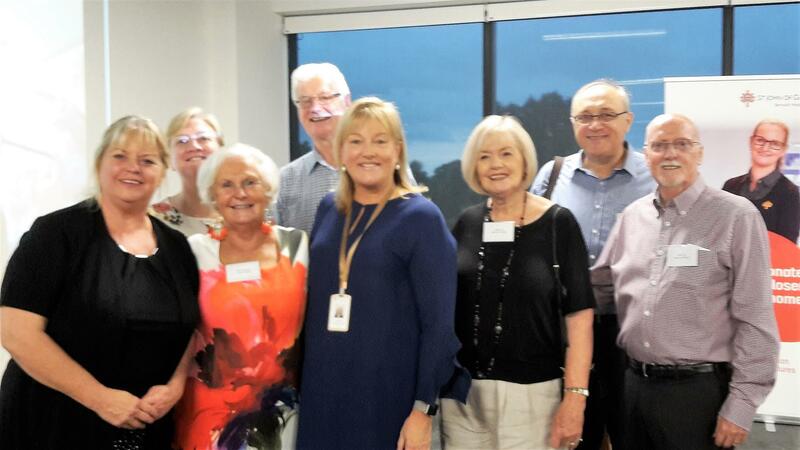 Tara was the last of the District 9820 Rotary Exchange students for 2019, to leave Australia and as such, no chaperone had been organised for her. 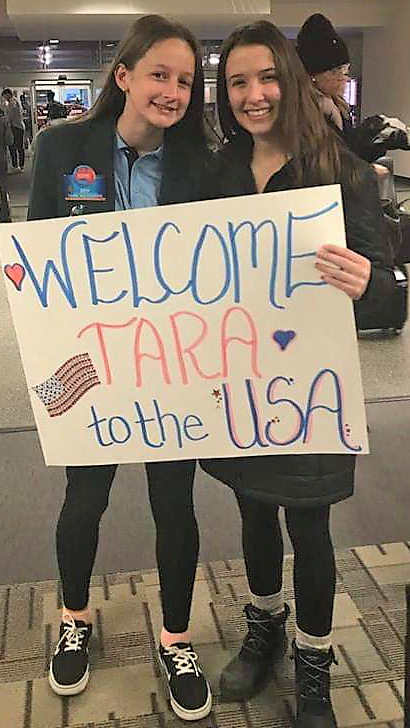 Luckily the Virgin Australia check-in operator, Tony, had himself been an exchange student, so he made appropriate arrangements for Tara's chaperoning all the way to her destination in Minnesota, USA. This was a great weight of her mind. Tara’s first host family met her on her arrival and apparently the whole school community at Grand Rapids High School were eagerly waiting to meet her. She has started school within 24 hours of arriving in the USA. 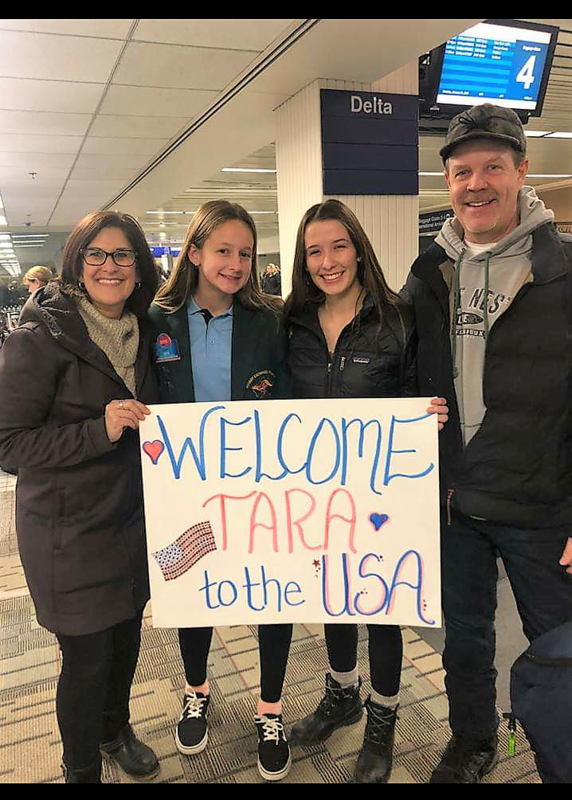 Her mother, Denise, thanks Bob and Clare for all their assistance and the Rotary Club of Berwick for sponsoring Tara on the international student exchange. 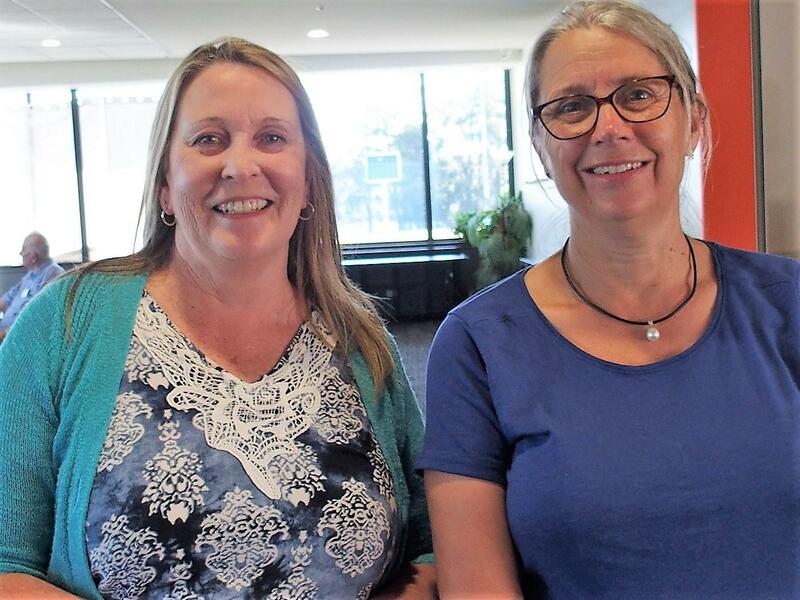 Clare Ganderton reported on 3-year old Emilia Da Costa Oliveria from Timor Leste, who is hosted by the Rotary Club of Mt Eliza. Amelia had surgery to remove a tumour from her kidney in November. Unfortunately, she has had a bit of a set-back in that the cancer had spread, so she has had to have part of her bowel and abdomen removed. Following the operation, Emilia now faces two months of chemotherapy and radiotherapy, so her return to Dili has been delayed. The tumour was so unique that it has been donated for research. We all wish Emilia a speedy recovery. PP Gus Dominguez reported that the barbeque that was held at Bunnings on Sunday 13 January raised approximately $1,300. He thanked all those who had assisted at the BBQ. Gus added that the Club has been offered a second placement at Bunnings in mid-October, as well as one this Friday. Anyone who can assist at the BBQ should contact Gus. President Geoff drew the winning ticket M95, which belonged to Peter Batterham. 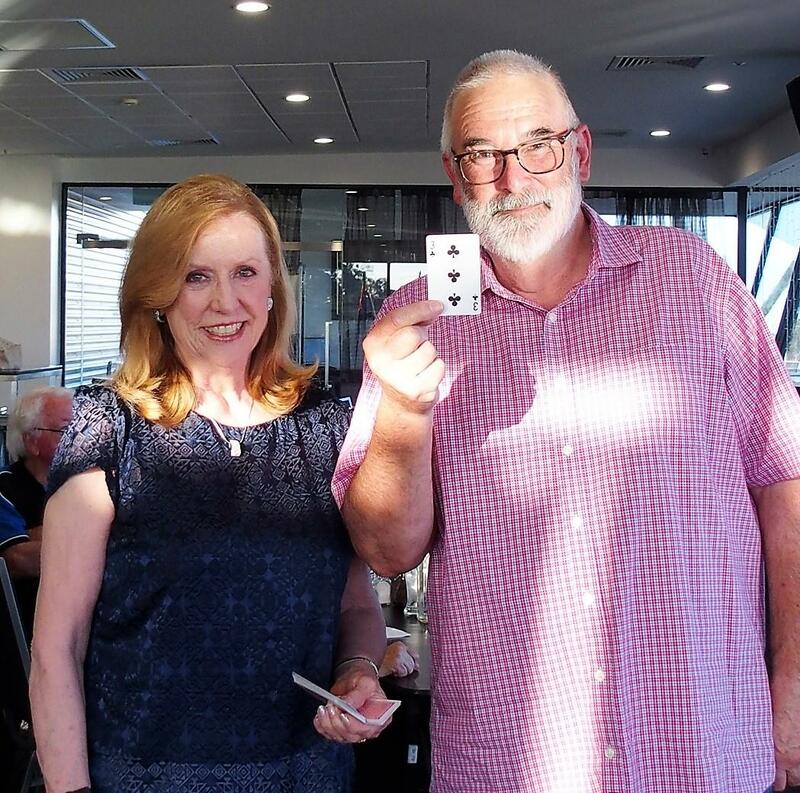 With the Jackpot sitting at $901, Peter carefully selected a card from the deck. Unfortunately it was only the three of Clubs. Therefore, the jackpot is safe until the next draw on 6 February. There are 35 cards plus the Joker in the deck. Make sure you purchase your tickets before the meeting starts, and please have the correct money. 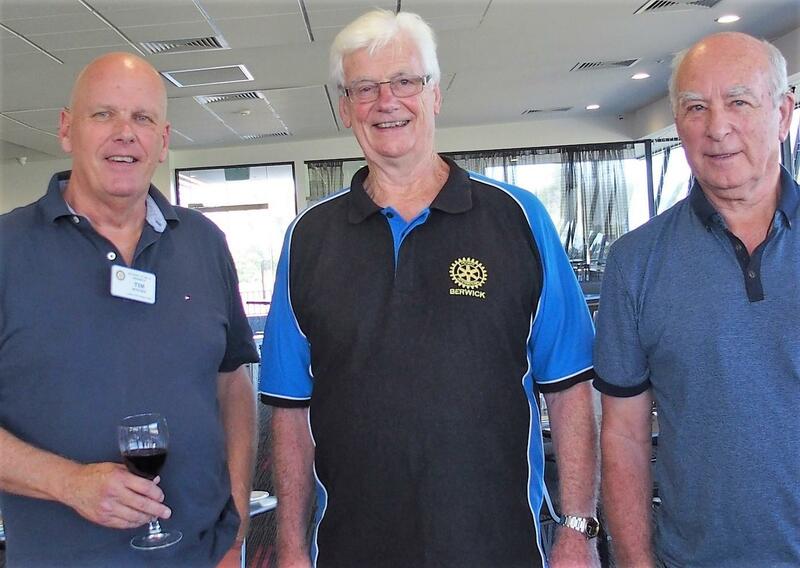 Bob Lay AM reported on behalf of PP Jim Armstrong about the Charity Golf Day. To date, there are potentially 32 teams competing, of which 15 have already confirmed. Our Club's sponsors St John of God Hospital and Beaconsfield District Community Bank are also lodging teams. It is anticipated that there will finally be about 25 teams competing, which is something of a record. There is one gold sponsor, which is Berwick Nissan and two silver sponsors, namely Mazda Berwick and Neilson Real Estate. Jade Rawlings, the coach of the Casey Demons, will be the guest speaker at the dinner after the event. 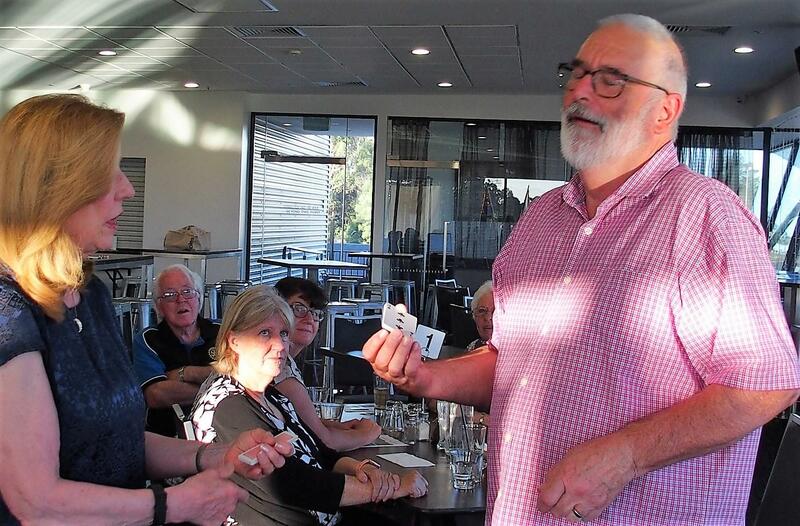 Bob encouraged members to take at least one book of raffle tickets to sell to ensure that significant funds are raised by the event. These must be returned by 20 February. 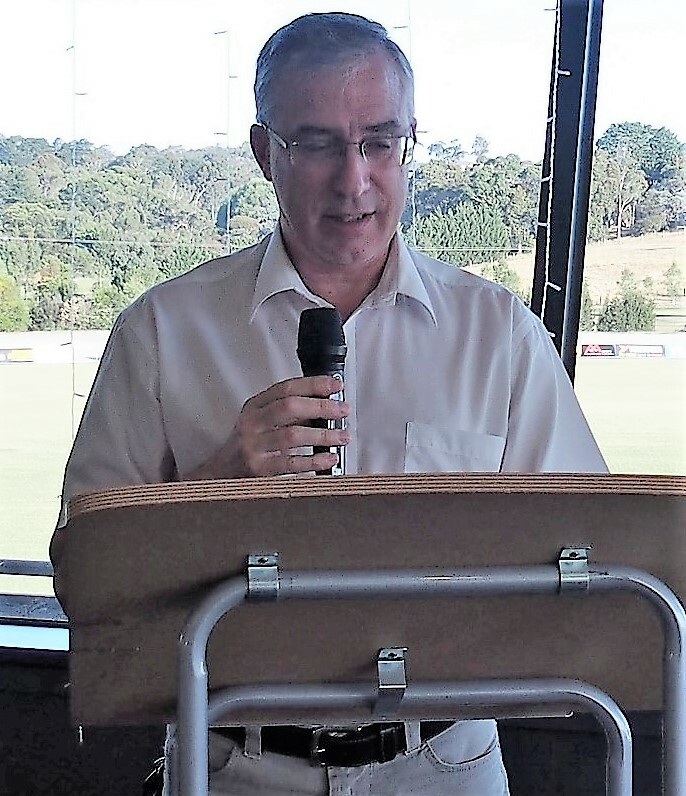 Di Double reminded everyone that there will be no meeting at Holm Park Reserve next Wednesday 30 January. Participants should arrange to arrive at noon. 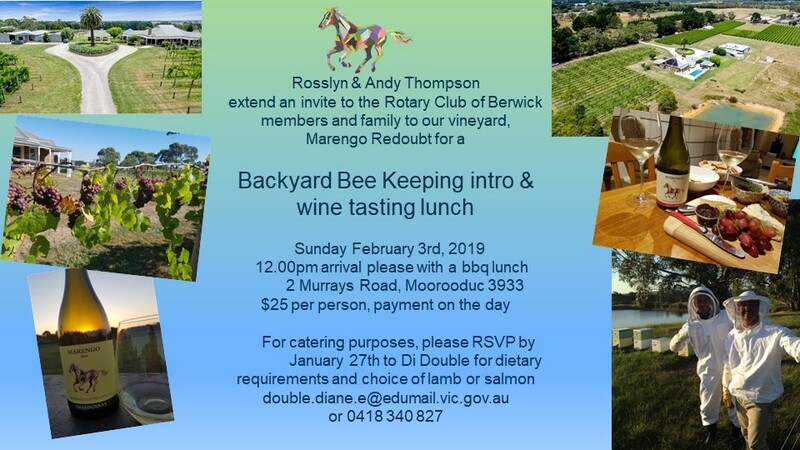 The cost will be $25 per person payable on the day and the BBQ offers a choice between lamb or salmon. Di will send out an email to explore the car pooling potential for travel to the venue. 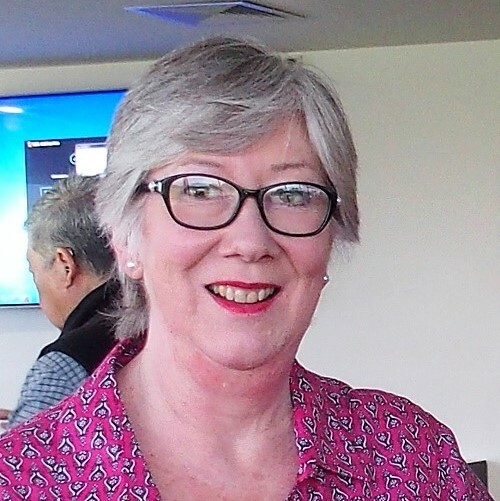 PE Isobel Caulfield summarised the final arrangements for the Australia Day event to be held at Pioneers Park. 1. There are only 44 volunteers to help compared to 55 last year and several will leave at mid-day. Those who can return to help with packing up at 3:00pm are requested to do so. 2. Food vendors and displays have all been confirmed. 3. A relief team will operate to provide comfort breaks for those on duty. 4. Team leaders will be allocated 2-way radios to facilitate good communication and to help organise relief breaks, where required. 5. 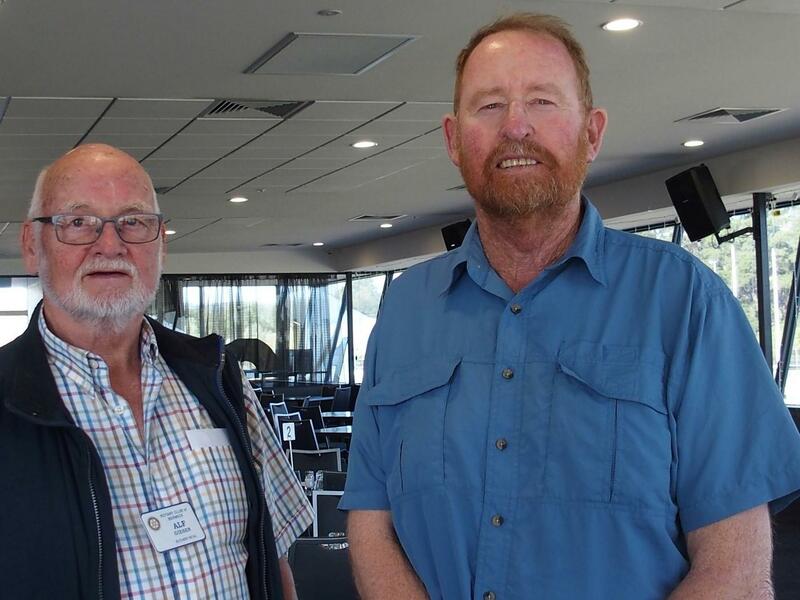 PP Ricardo Balancy will be MC and PDG Tim Moore will be the Stage Manager at the Bill Minns rotunda. 6. The official program will begin at 10:30 am, which is earlier than usual. 7. A new large flag has been acquired for use at the flag raising ceremony. 8. MP Jason Wood will be presenting community awards after the official ceremony. 9. A complimentary breakfast will be provided to volunteers from 7:00 am to 8:00 am at the Primary Cafe. Currently 32 volunteers have booked for breakfast. 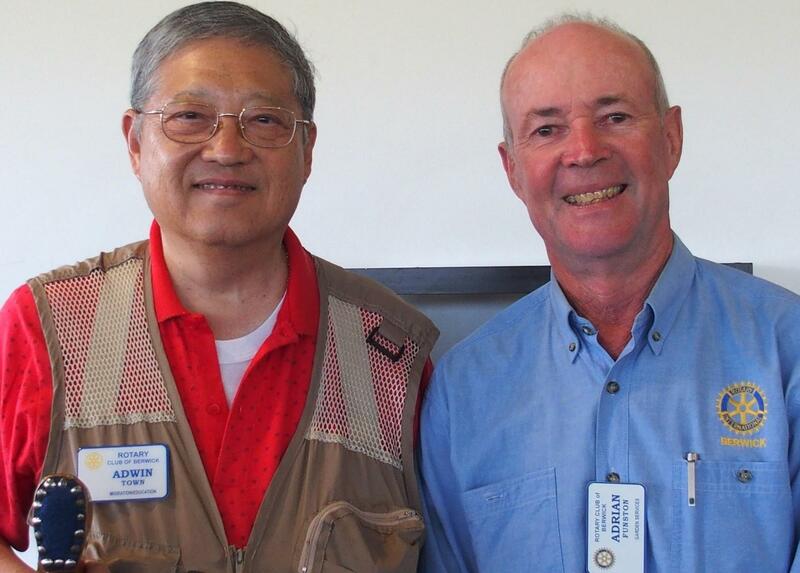 Rotarians should wear their Rotary shirts/caps and stay hydrated. Sun screen should be applied regularly and covered shoes should be worn. Finally, rather than have drinks in the rotunda after packing up, everyone is invited to Jack and Ann Kraan's home for fellowship from 5:00 pm onwards. 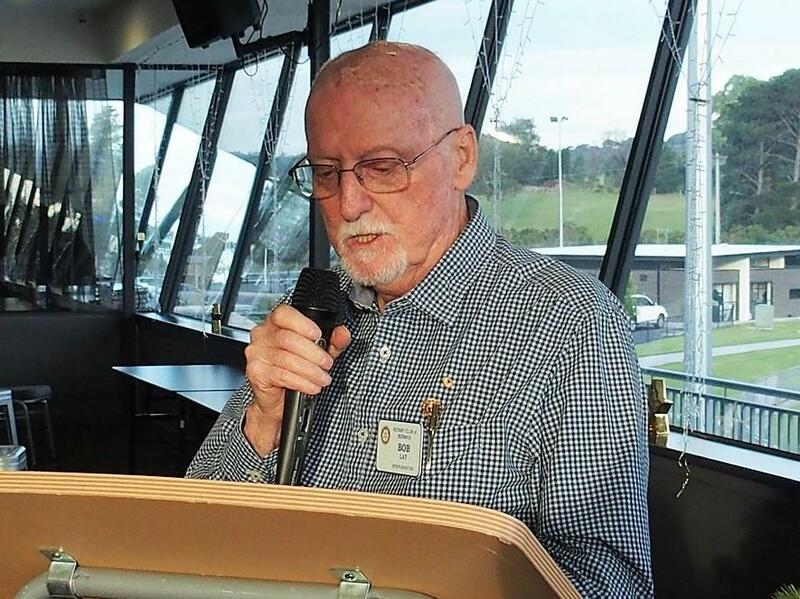 PP Murray Newby passed away peacefully on Saturday 19 January, aged 88 years, at Cabrini Hospital in Malvern. 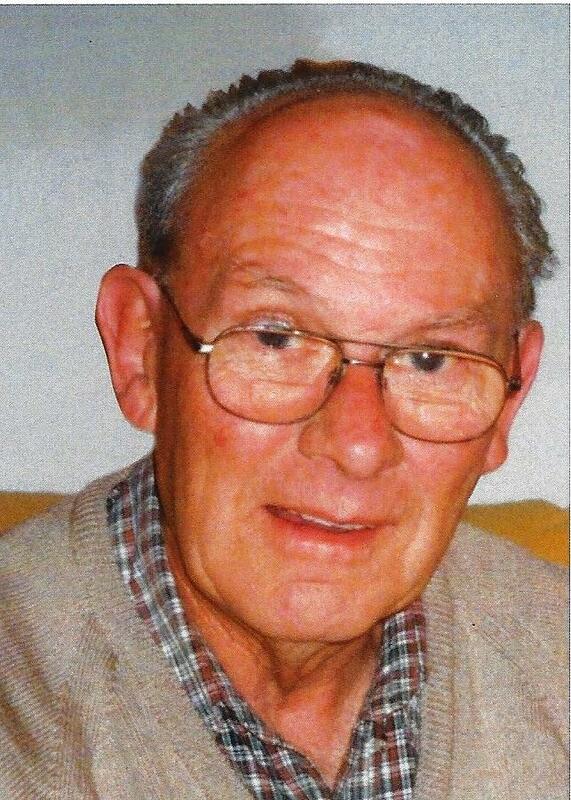 A large crowd of mourners attended his funeral service at Tobin Brothers Chapel in Berwick, on Friday 25 January. He worked as a civil engineer and surveyor for several councils including Mulgrave, Orbost, Dandenong and La Trobe. 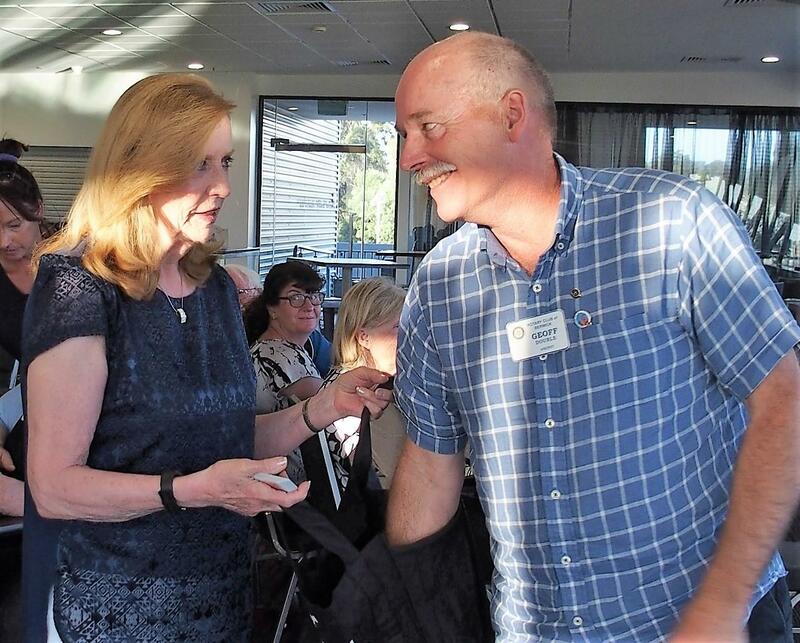 While working for Dandenong Council, he met his wife-to-be Dawn and they married in Dandenong in 1964. Eventually, they purchased 10 acres in Traralgon West and built a new home there. They lived happily on the farm for many years, as their family grew. 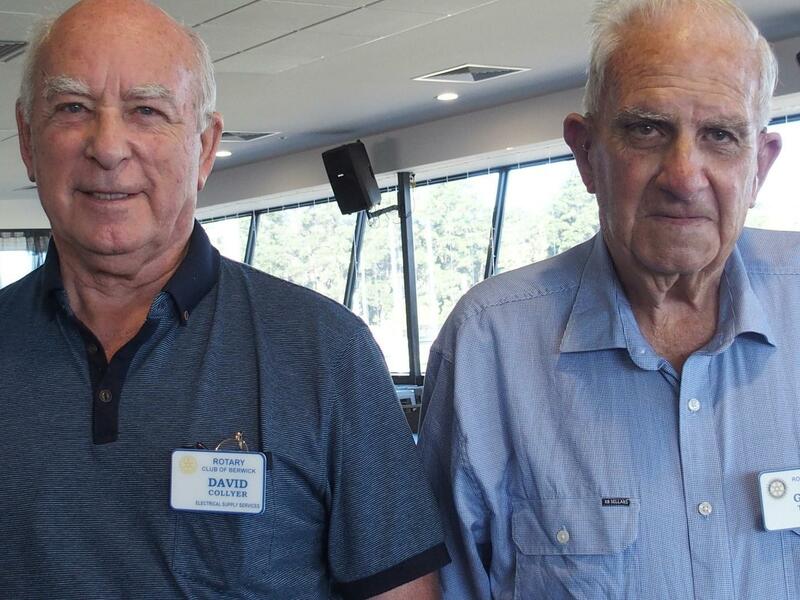 Murray joined Rotary in 1975 and served as President and Secretary on several occasions with different Rotary Clubs. He devoted a lot of time to various youth programs, such as International Youth Exchange, and he was presented with a Paul Harris Fellowship (PHF) for his work in this area. Murray and Dawn were host parents to several international exchange students. He also assisted senior students to prepare for work, by conducting mock interviews. 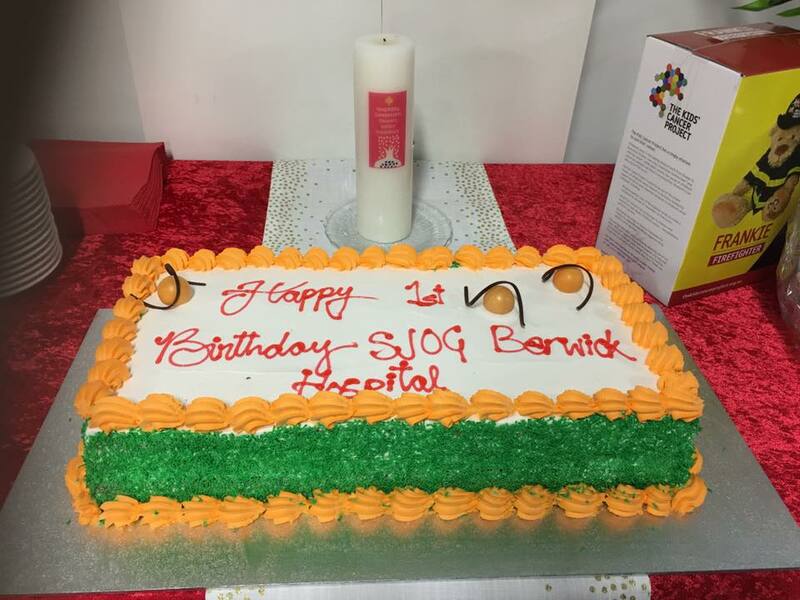 On Friday 18 January, representatives of the Rotary and Inner Wheel Clubs of Berwick were among a group invited to celebrate the 1st anniversary of St John of God Hospital at their new location in Kangan Drive, Berwick. 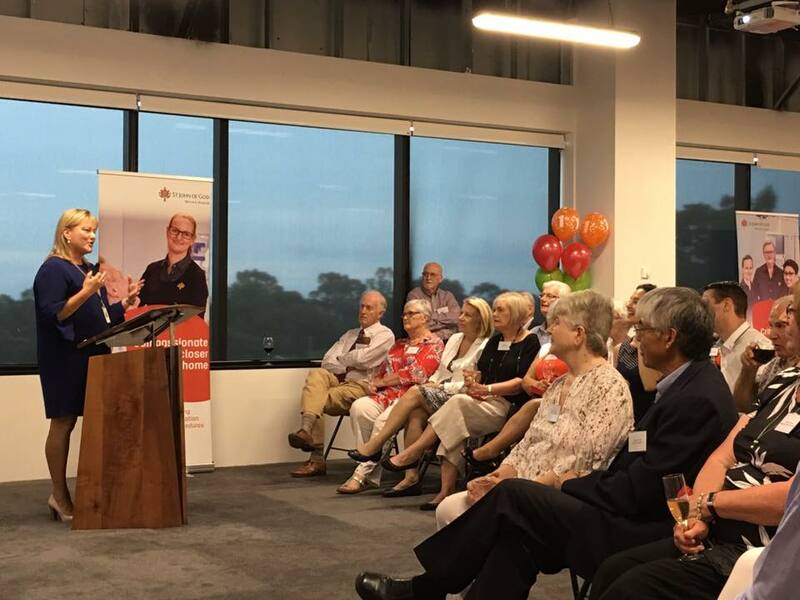 CEO, Lisa Norman stated that all those present had contributed in some way to the planning and development of the hospital’s services and its remarkable success to date. She thanked everyone for their contribution. 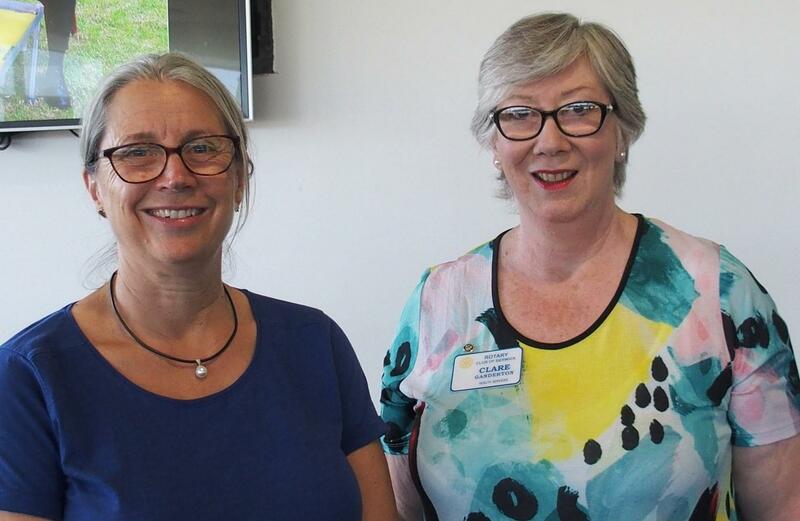 Lisa went on to summarise the year’s achievements, which included a smooth transfer of patients from the old Gibb Street facility to the new location, one year ago. In comparing the Gibb Street site with the new hospital, the total bed capacity had increased from 86 to 202 and the number of operating theatres had doubled from 4 to 8. The new hospital can now provide ‘Critical Care’, as it has a ‘Level 2’ Intensive Care Unit (ICU) with 6 dedicated ICU beds, as well as 10 Cardiac and HDU beds. The new facilities and increased service provision have resulted in a 64% growth in admissions and a 63% growth in the number of operations conducted. Lisa advised that there will be 32 new beds available from Monday 4 February in an Orthopaedic and Spinal Unit. The new hospital has won several awards including the Australian Healthcare Week Award for the ‘Best Hospital Development’ and the Victorian Worksafe Achievement Award for ‘Consultation and Liaison in Hospital design’. 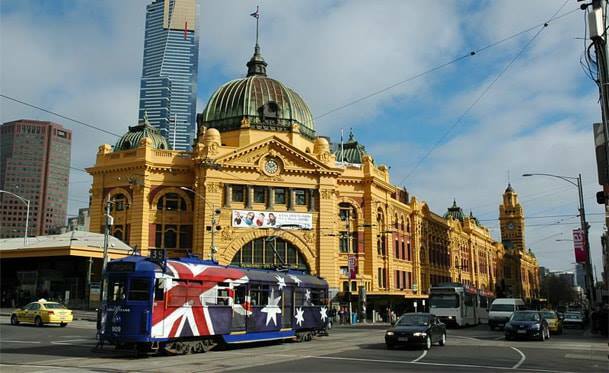 The city of Melbourne has been provisionally selected as the site for the 2023 Rotary International convention. Congratulations to the whole bid team, who showcased the best of what Melbourne has to offer. 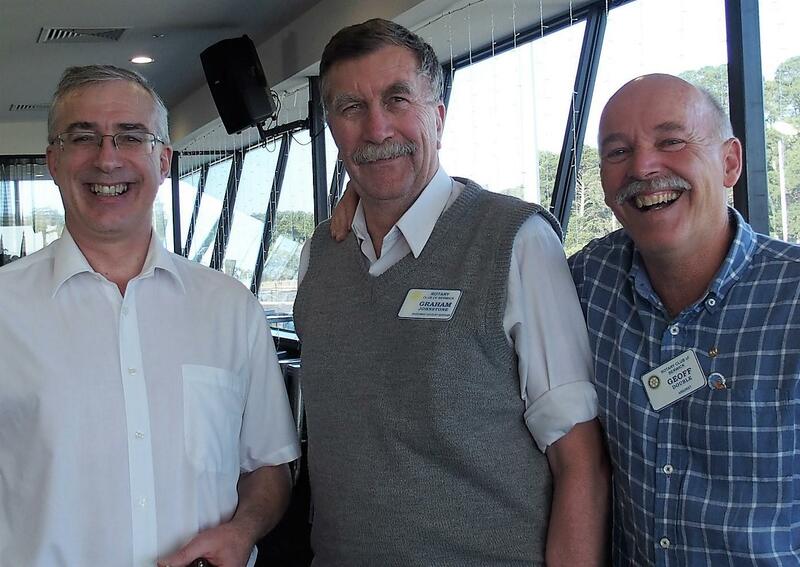 All Australian Rotarians and the whole Rotary family should support this spectacular event. The Rotary Foundation is a not-for-profit corporation funded solely by voluntary contributions from members and friends of Rotary, who support its mission to advance world understanding, goodwill, and peace. Using Rotary Foundation grants, Rotary's 34,000 clubs across the globe develop and carry out sustainable humanitarian projects and provide scholarships and professional training opportunities that promote peace, fight disease, provide clean water, sustain mothers and children, improve education, and strengthen local economies. The Foundation has already spent $3.7 billion on addressing these issues and has earned this recognition for demonstrating both strong financial health and commitment to accountability and transparency.